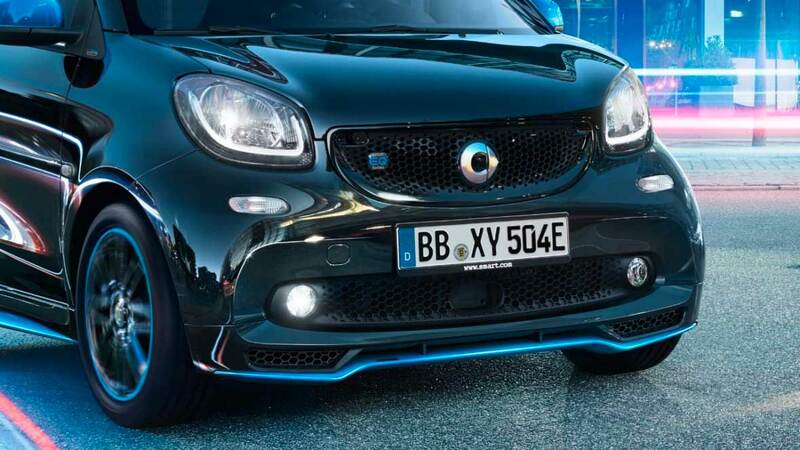 Intelligent and great fun: that's electric mobility with the new 2019 EQ smart fortwo coupe. 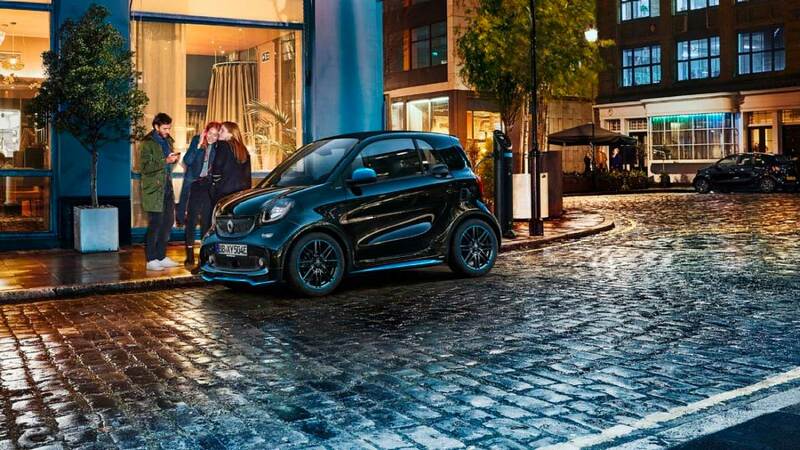 With all the benefits that make a smart so unique and safe – and with that extra special driving enjoyment that only an electric car can offer. 100% smart. 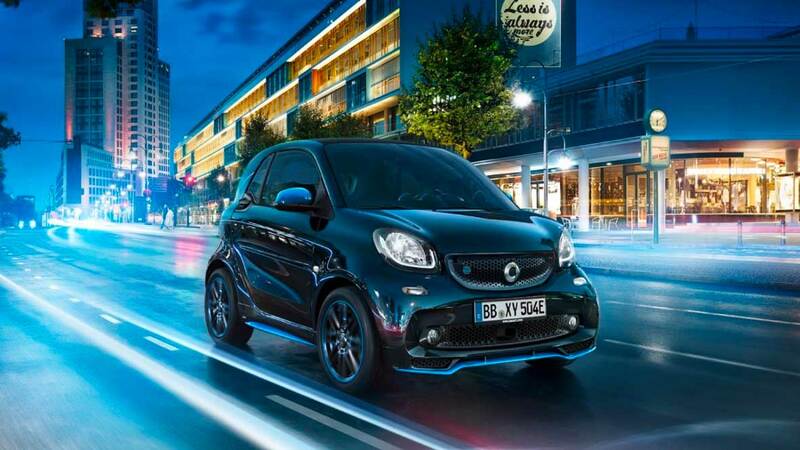 Our new electric vehicles offer all the familiar benefits from smart. 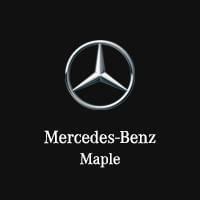 Plus new, cutting-edge connected-car technologies and full access to our innovative, digital services. Ready, steady, power. Driving such an agile electric car is a pleasure right from the word go: driving's never been such fun - even in the rush hour. Variety of paint colours. Electric cars often lack colour. 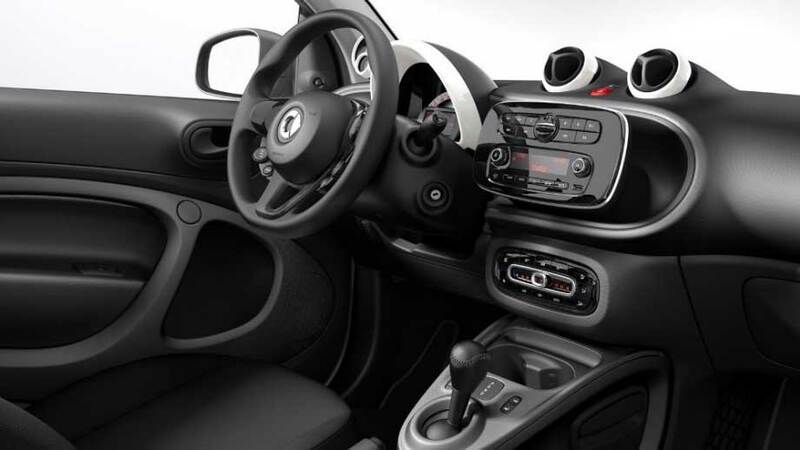 Not so with smart: you can always combine two colours. 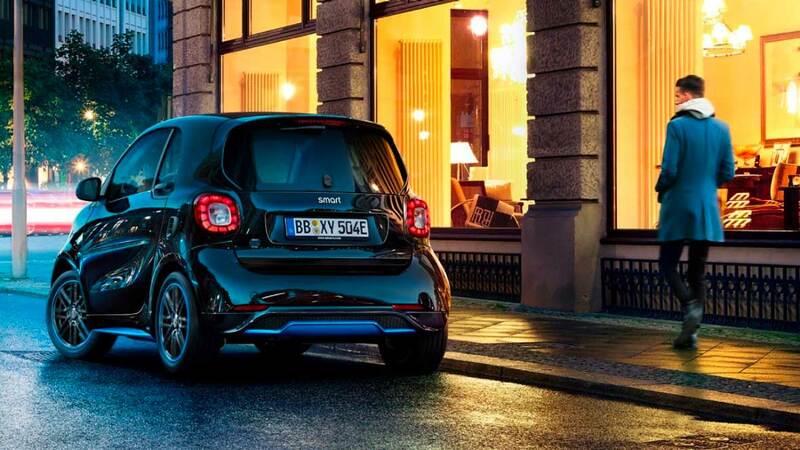 There are just so many possibilities - one electric smart rarely looks quite like another. Radar-based recuperation. 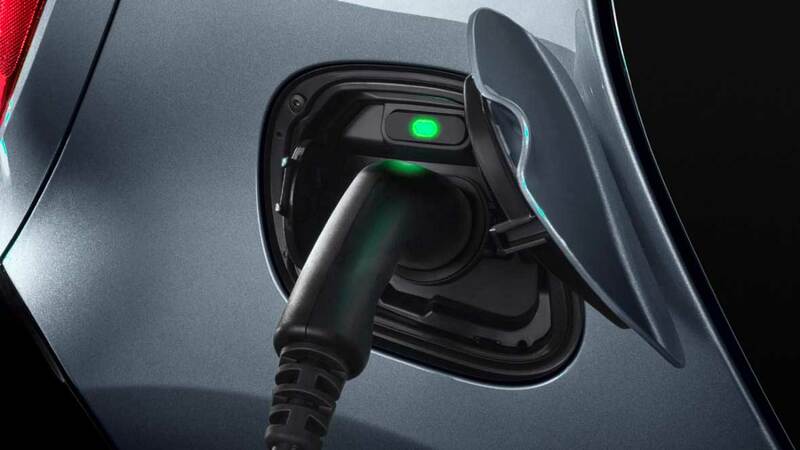 An intelligent system from higher vehicle categories: when you take your foot off the pedal, the electric car goes into recuperation mode, regaining energy in the process. With radar-based recuperation, the traffic situation is additionally monitored using a radar sensor, and the ideal recuperation level to suit the current situation is selected. High-voltage battery. The positioning of the battery in a robust frame set into the vehicle underbody offers the best possible protection from deformation in the event of a collision. The battery's low centre of gravity also noticeably improves handling. All plugs in the high-voltage system are shock-proof. All the battery's safety functions are additionally subject to ongoing monitoring. And should it ever actually come to a crash, the high-voltage elements switch themselves off. 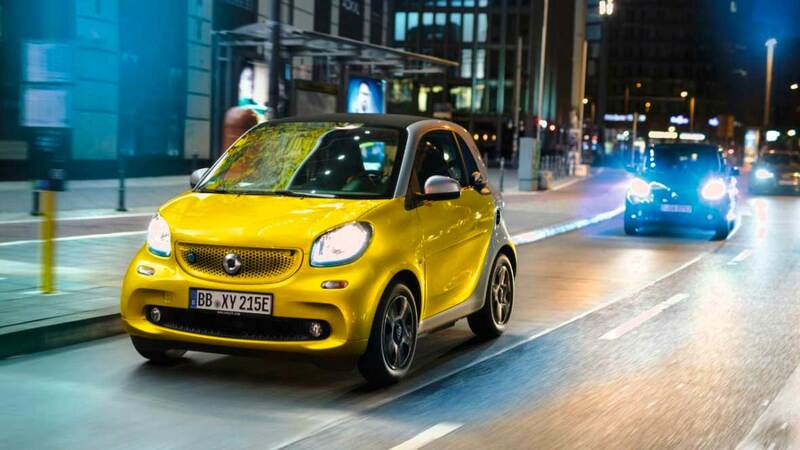 The EQ smart fortwo coupe: Intelligent electric mobility that's big on fun. 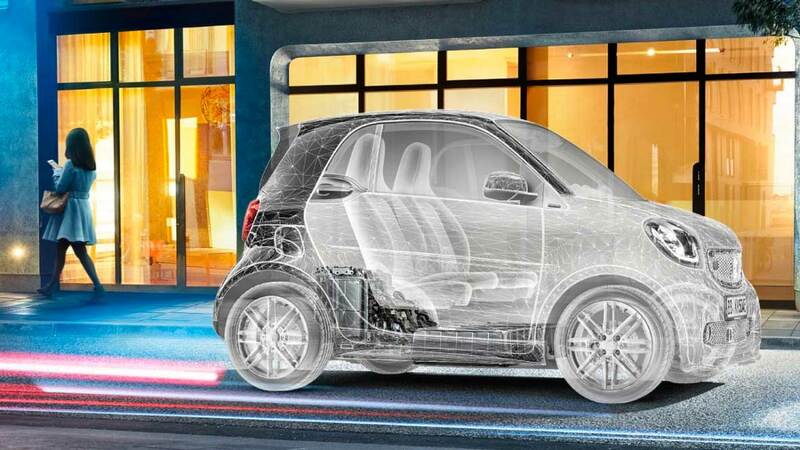 With all the benefits that make a smart so unique and safe – and with that extra special driving enjoyment that only an electric car can offer.